2X Nominee Dr. F. James Clark and The NextGeneration Choir Bring Down The House At Stellar Awards Pre-Show With New Churchy Single, " Blessing Me"
St. Louis, MO -- Dr. F. James Clark, Pastor of The Shalom Church (City of Peace) in St. Louis, MO has once again took his dynamic music ministry to the biggest weekend in Gospel Music - The Stellar Gospel Awards. Dr. Clark's Shalom Church (City of Peace) Mass Choir received a 2016 Stellar Award nomination for Contemporary Choir of the Year and delivered an electric performance at the Stellar Awards Pre-show that year. Now, his new youth and young adult choir, The NextGeneration Choir, has followed in the footsteps of their Mass Choir. The NextGeneration Choir received two 2018 Stellar Award nominations for New Artist of The Year and Contemporary Choir of the Year. The NextGeneration Choir's Stellar Award Nominated album SURE. FOCUSED. CENTERED. landed at #1 on Billboard Top Gospel Albums Chart. SURE. FOCUSED. CENTERED is produced by Terence Vaughn, and the choir is directed by Curtis Finch, Jr. Their album has generated two Top 40 radio singles - "You Are", an upbeat, high-spirited musical mantra and "Cry Out", a passionate worship ballad. This versatile and stylistic choir also performed on the 2018 Stellar Awards Pre-Show, taped and streamed live on Friday, March 23 at The Orleans Showroom in Las Vegas, NV. You can watch The 2018 Stellar Awards Pre-Show with The NextGeneration Choir performing live here. The NextGeneration Choir made their national television debut and introduced their new churchy single "Blessing Me". In addition to their impressive Stellar nominations and performances, the NextGeneration Choir just received a 2018 Steeple Award Nomination for CD of The Year. The 2nd Annual Steeple Awards will be held April 21 in Atlanta, GA. Steeple Awards voting is open to the public until April 16. Watch The NextGeneratio Choir Perform on the 2018 Stellar Awards Pre-Show! 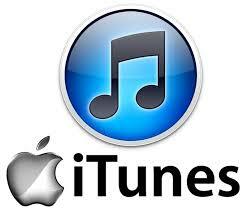 Please use the link to download "Blessing Me" for airplay on your show or station. Dr. F. James Clark Presents The NextGeneration Choir Worship Anthem "CRY OUT"
The NextGeneration Ministry is comprised of and open to ages 13 - 35 who are willing to learn, grow and make a difference in the lives of others. The NextGeneration Ministry is specifically gaining national attention through music. 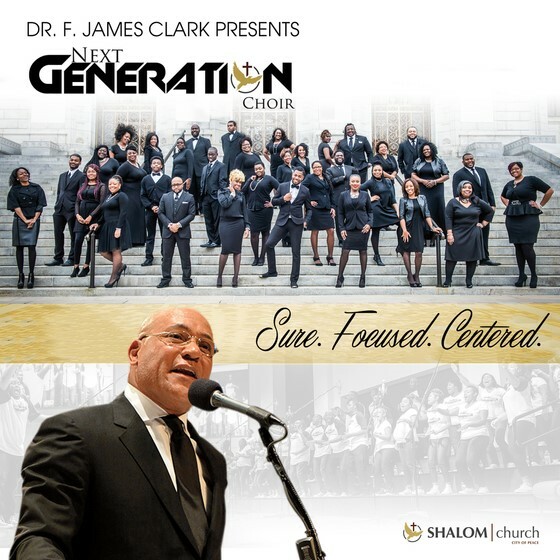 Dr. Clark's NextGeneration Choir released their debut album SURE. CENTERED. FOCUSED. earlier this year with the album landing on the Billboard Top Gospel Albums chart at #3, peaking at #1 and remaining in the top 40 for numerous weeks. SURE. CENTERED. FOCUSED is produced by the young and noted musician and songwriter Terence Vaughn. His production skills, along with anointed songwriter and choir director Curtis Finch, Jr, helped garner a successful Top 40 radio single "You Are". SURE. CENTERED. FOCUSED. is available on digital music stores, music streaming sites, and includes songs written by popular Worship leader Shawn Bigby, multiple award-winning writer Jason Clayborn (Hezekiah Walker, VaShawn Mitchell, Ricky Dillard), Glyne Griffith, Melvin "Maestro" Lightford and many others. Now these dynamic young voices are releasing their second radio single "Cry Out" (written by Dishawn Payton and Ashley Davis). "Cry Out", featuring lead vocals by Crystal Gill, also has a companion lyric video available for music ministries and for sharing on YouTube. Dr. Clark is guiding youth and young adults and challenging them to be effective leaders and disciples through music. The NextGeneration Choir has accepted the call and boldly exude their enthusiasm in exuberant praise and sincere worship as heard on their single "Cry Out" and their SURE. FOCUSED. CENTERED. album. Watch and Share "CRY OUT" Lyric Video ? Enter your email address below to receive a FREE DOWNLOAD of "Cry Out" sheet music!